This is probably the most beautiful psalm that deals with humility. It's not condemning the search for knowledge, but it does seem to eschew seeking knowledge for its own sake. In Gilead by Marilynne Robinson, the principle character, in whose voice the the novel is written, has been asked about predestination by someone he suspects only wants to raise a contentious issue. He says after the fact that he doesn't like to discuss these matters with a person who has no "sympathy for theology." And I what he means might be explained in Psalm 131:2 with the metaphor of the "weaned child." 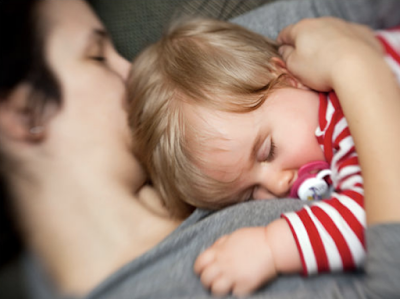 A nursing child no doubt loves its mother beyond the grown-up's imagining. But that doesn't change the fact that it is with its mother for something other than assurance and love. It is there for nutrition. A weaned child, on the other hand, wants only to be with its mother and experience her unconditional love. In the same way, I am most content in my approach to God not when I want answers, but simply I desire the embrace of the Divine. To let go of all my assumptions, misconceptions, and mental games, in order simply to be with God is the sort of humility the Bible asks of me. And so I return to Psalm 131 frequently to better understand God's grace as the ground of my hope.